The damage model of crew members has been fixed - rifle calibre bullets and spalling do not pierce through a body and thus do not damage several crew members sitting in one line. The given elements were defended by external plates that were made of steel armour and the internal plating that was made of soft steel, previously the overall thickness was calculated as if it was armour steel. Machine gun protection from 76.2 mm to 25.4 mm. The thickness of specific elements of the FV221 Caernarvon tank has been changed. Front turret armour and mask thickness is equivalent to the Centurion Mk.3 (since the Caernarvon used the same turret as the Centurion Mk.3 according to “AFV Weapons Conqueror Heavy Gun Tank” by Major Michael Norman, pp. 9-10 ). Turning in neutral gear is now available for the A43 Black Prince. Maximal turret turning speed for A43 Black Prince has been changed from 15 degrees per second to 17 degrees per second according to (Preliminary trials - Black Prince A43 March 22md, 1945. Application A, tables 5,6). Minimal depression angle for RBT-5 has been changed from 0 degrees to +7 degrees since it is the only possible minimum to correct the rocket hitting the rail defenses when launched. Projectile core for 83mm Shot Mk3 has been reduced to 40 mm from 80 mm. Direct kinetic damage bug for 76.2 mm ammo Sh-354T has been fixed (previously it did not knock-out a crew member in the vehicle with an open turret upon direct hit). Spalling penetration value and damage sector for APCR, APDS and HEAT rounds has been reduced. Spalling cone parameters of the APCR rounds are similar to those of the APDS rounds. The Spalling penetration value for most fragments does not allow piercing through several crew members and does damage within a lesser sector. Ricochet parametres for APC rounds are now equivalent to APCBC. 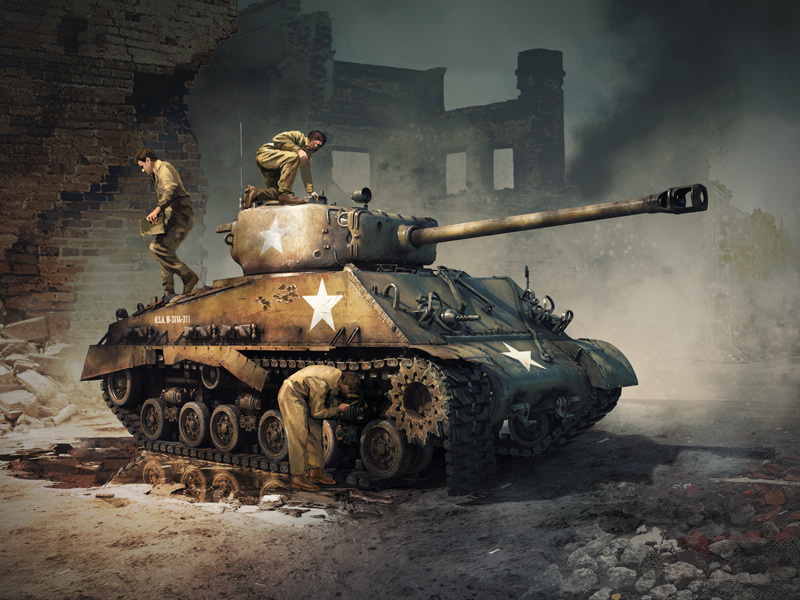 Number of respawns for A43 Black Prince has been fixed from 2 to 1 in tank sim battles. Visibility parameter for the FV221 has been changed. The error that occurred during game launch while using both client version of the game has been fixed. Note: This update applies to PC/Linux/Mac users.